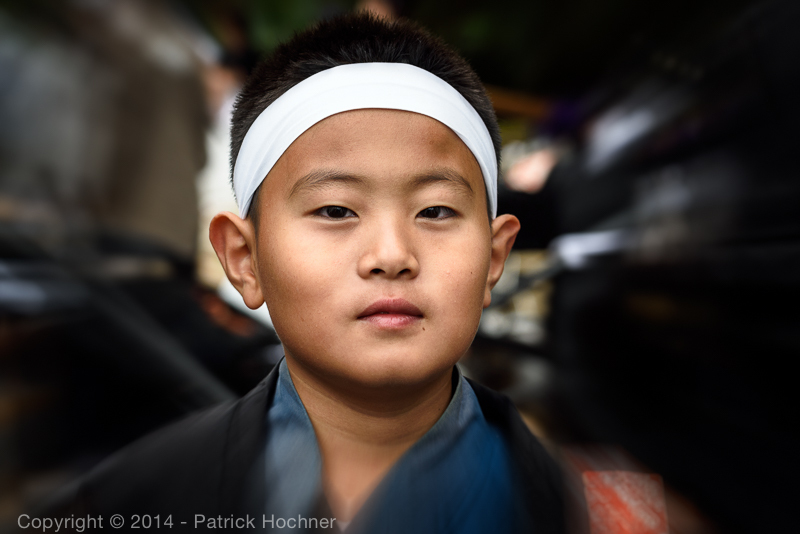 We came back to Japan just on time to see this Jidai Matsuri Festival. This festival (the Festival of the Ages presenting different periods of the history of Kyoto) is held every year on October 22nd. October 22nd was the day, over 1,200 years ago, when Emperor Kammu decided to move the capital to Kyoto. 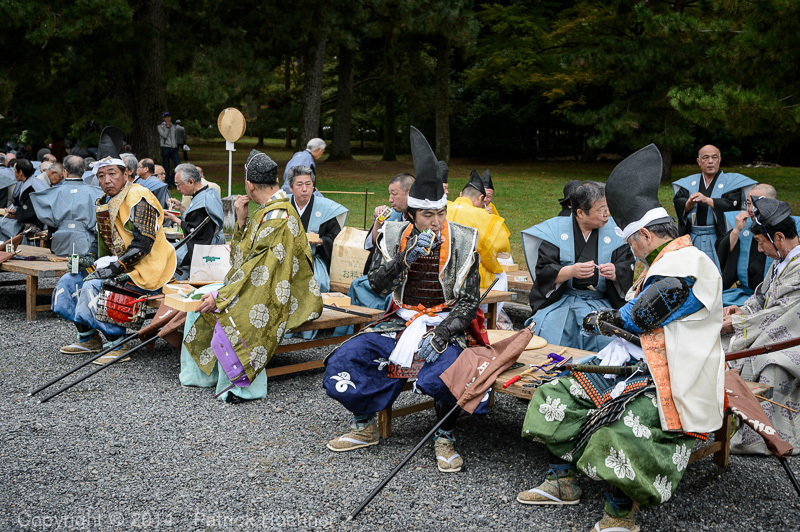 The festival is symbolic of Kyoto, her people and the city great history and culture. 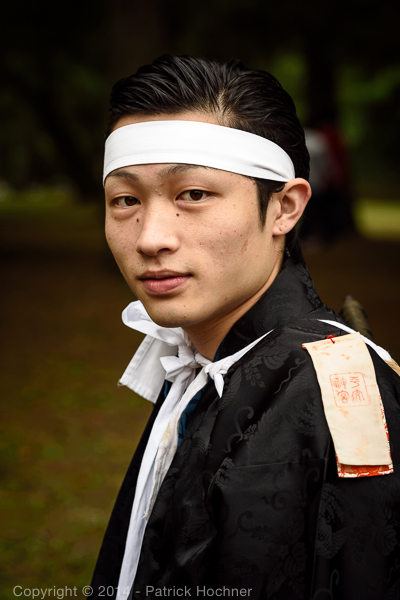 This was a great opportunity to take a few pictures of the people and the costumes. 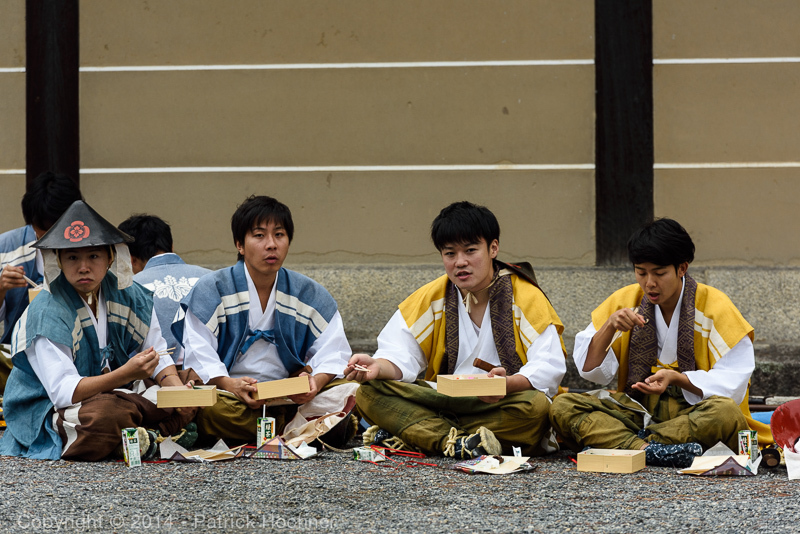 We arrived quite early at the starting point of the procession, Gosho, the Imperial Palace ground, where a large number of participants were having their lunch while waiting for the procession to get started. Soldiers of the Imperial Army of the Meiji Restoration.